We’d like to welcome you to our booth at the Home + Housewares show in Chicago, from the 10th until the 13th of March. 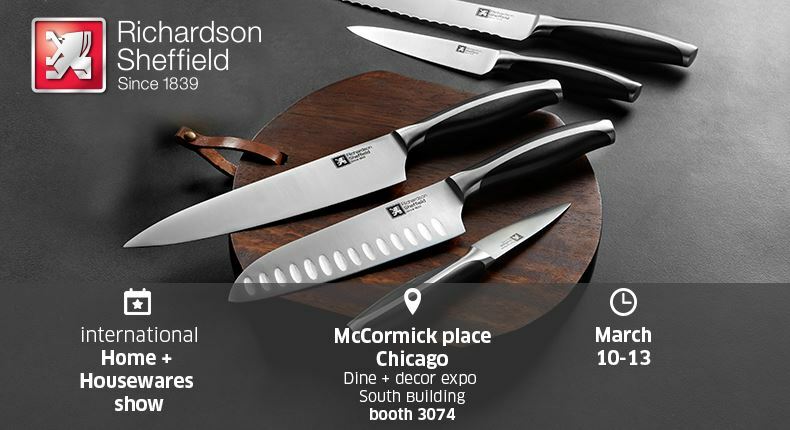 We’ll show you the latest trends for the kitchen and the table: from high quality kitchen knives and knife blocks to the latest flatware sets. Visit us at our booth S 3074. Would you like to make an appointment? Please contact us at (603)340 1707 or salesna@amefa.com.